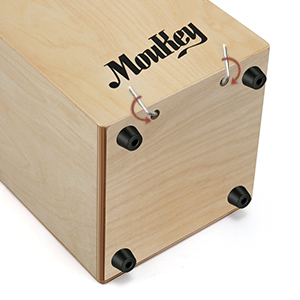 Dimension: 12.2" x 18.9" x 12.2"
Moukey’s Stringed Jam Cajon DCD-1K is made in the classic and traditional instrumental style. Measuring 12.2" wide x 18.9" tall x 12.2" deep, the Jam Cajon is more compact for easier transport and straightforward use. 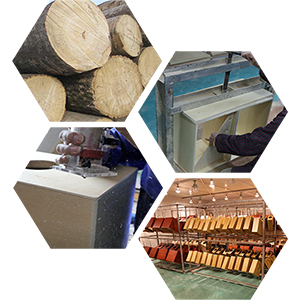 Its wooden panel box frame is constructed out of birch wood material and is hand-crafted and strongly-built to give you that great and acoustical percussion sound. 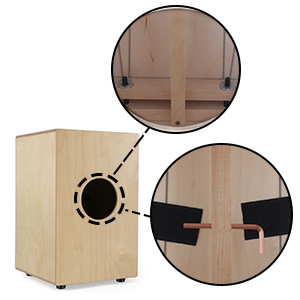 Great sound is easy to achieve from this cajon for anyone interested in rhythm, regardless of skill level. Just sit down and play! The top frontplate corners on the playing surface may be adjusted with a quick turn of a screwdriver to alter the distance between the frontplate and the resonating body. This results in a varied amount of "slap" sound that drummers can use to provide a deeper backbeat. DCD-1K features an efficient guitar string system inside that produces flawless acoustical ‘hand percussion’ tone and rhythmic sound production. With four strings that are placed at two points and can be tuned to give classic sizzle when the front plate is beaten. 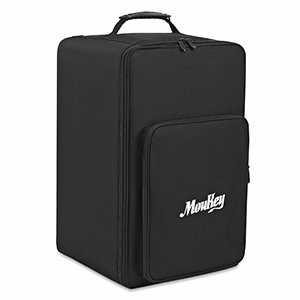 Come with high quality cajon gig bag that is made with heavy duty nylon to ensure safe transportation and storage of your cajon. 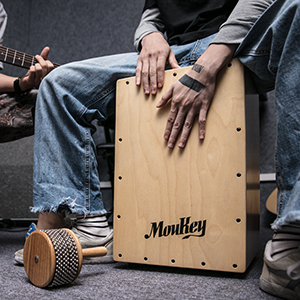 Equipped with a strong carrying grip, this bag makes the Cajon the perfect grab-and-go percussion bundle.